High heels have a history of causing foot and ankle problems. If you have any concerns about your feet or ankles, contact one of our podiatrists from Geller Foot Clinic. Our doctors can provide the care you need to keep you pain-free and on your feet. If you have any questions please feel free to contact our office located in Southfield, MI. 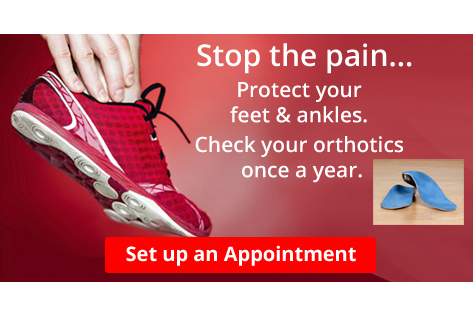 We offer the newest diagnostic and treatment technologies for all your foot and ankle needs. It is known that the feet are the foundation of the body. Many people tend to ignore their feet until some type of pain is felt. Research has indicated that when frequent foot care is practiced, the feet and overall health of the body may be positively affected. This type of care may include washing and drying the feet daily, which may help to prevent unpleasant foot odor, or athlete’s foot. The feet will feel good after a moisturizer is applied, and this may prevent cracked heels from developing. Additionally, it is helpful to wear shoes that have adequate room for the toes to move freely in. Flip flops do not provide stability and proper arch support for the foot, and it is suggested to limit wearing these types of shoes. If you would like additional information about how to care for your feet daily, it is suggested that you consult with a podiatrist. Everyday foot care is very important to prevent infection and other foot ailments. If you need your feet checked, contact One of our podiatrists from Geller Foot Clinic. Our doctors can provide the care you need to keep you pain-free and on your feet. Blisters are prone to making everyday activities extremely uncomfortable. If your feet are hurting, contact One of our podiatrists of Geller Foot Clinic. Our doctors can provide the care you need to keep you pain-free and on your feet. If you have any questions, please feel free to contact our office located in Southfield, MI. We offer the newest diagnostic and treatment technologies for all your foot care needs.